For many NFL veterans well into their 30s the preseason schedule of four games might seem a bit monotonous. 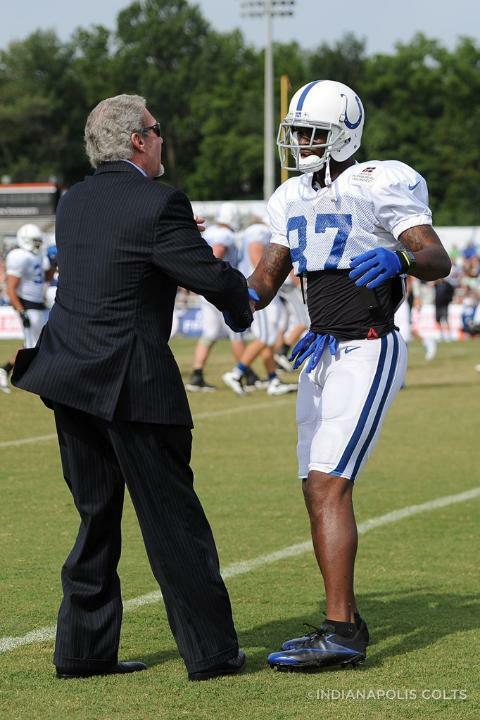 Reggie Wayne will begin his 13th preseason slate on Sunday and for him the preseason is business as usual. Wayne will be in there on Sunday and just like last year, No. 87 will be all over the Colts offensive formation. The Colts offensive coordinators might have changed in 2013 but having Wayne line up at different spots is here to stay. “The name of the game is you want to try to create mismatches, so Pep (Hamilton) does a great job of moving everybody around, trying to get the receivers on a linebacker and things of that nature,” Wayne said. During Wayne’s Friday press conference he offered Colts fans some more insight into what exactly his role will be in Hamilton’s offense. There’s going to be some more blocking duties for Wayne, something that many receivers would turn a shoulder too, but not this one. One area where Wayne wouldn’t delve into too much on Friday was his individual goals for the season. It’s all about the team goals for Wayne and at the age of 34, the six-time Pro Bowler is ready to get started on achieving those.